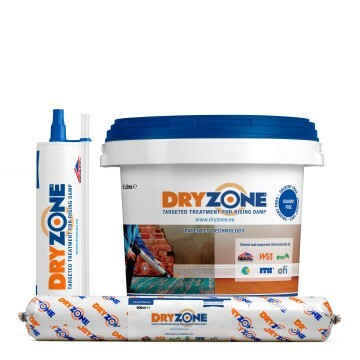 The Dryzone Express Replastering System is the fast, clean and modern way to replaster a wall after the treatment of rising damp. 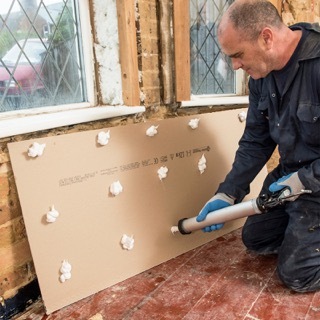 The system utilises a salt inhibitor cream and a salt & damp resistant adhesive to adhere plasterboard to salt contaminated walls. 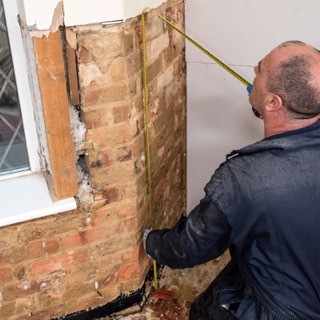 Before the advent of the Dryzone - Express Replastering System, replacing the decorative surface after a rising damp treatment required several layers of render and plaster to be applied. 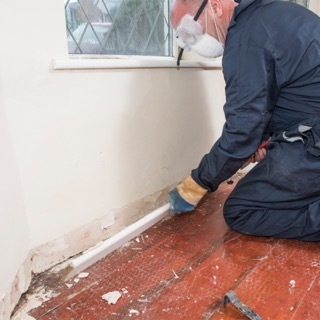 This process takes at least 3 days, is messy and takes considerable experience in order to get right. 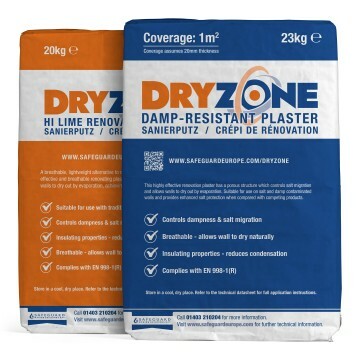 A rising damp and replastering treatment can now be completed in under 24 hours, using the Dryzone Replastering System. 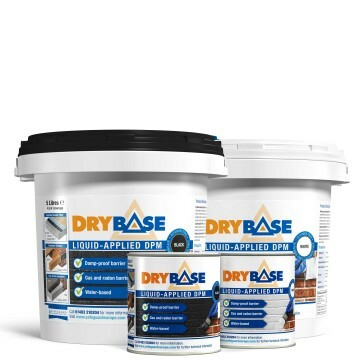 All the components of the system have been designed and formulated to create a long lasting and cost effective decorative surface. 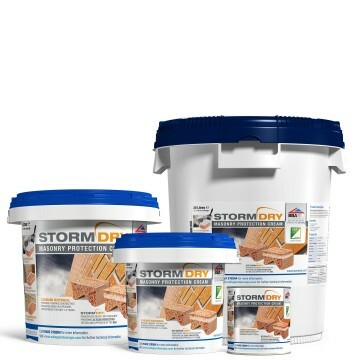 An effective salt inhibitor cream, for use on walls contaminated with salts, as a result of rising damp. 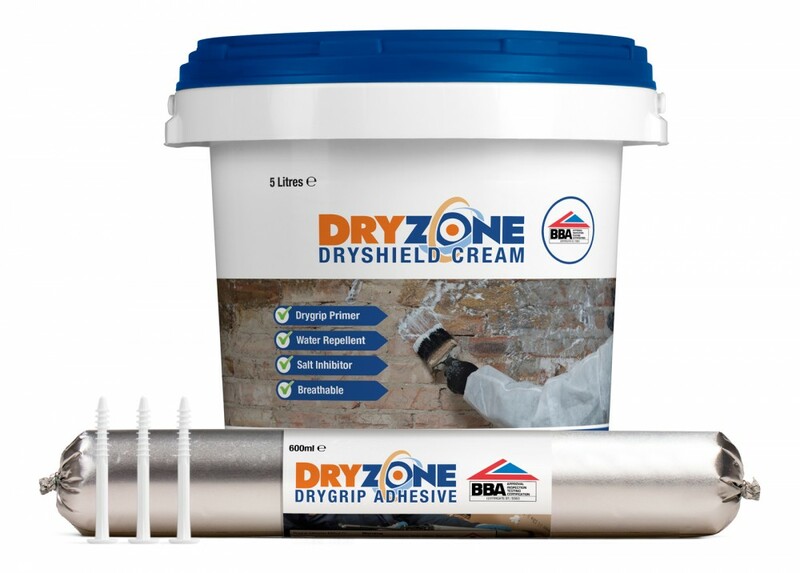 It resists the formation of salts in, or at, the masonry surface, without the need for a sand:cement render and acts as a primer for Dryzone Salt & Damp Resistant Adhesive. 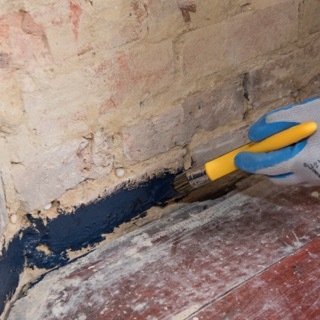 A salt and damp resistant adhesive glue for fixing plasterboard directly to masonry surfaces. 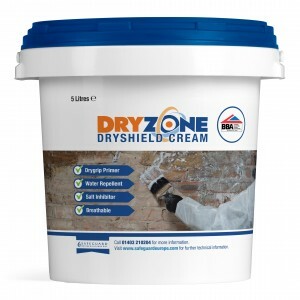 It is specifically formulated to work on walls treated with Dryzone Salt Inhibitor Cream. It is also effective as a general use adhesive. 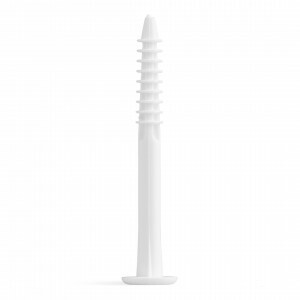 50 mm × 5.5 mm plastic positioning plugs. 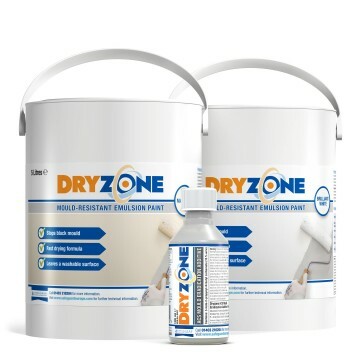 They are used to set the air gap between the board and the wall before the Dryzone Adhesive cures. 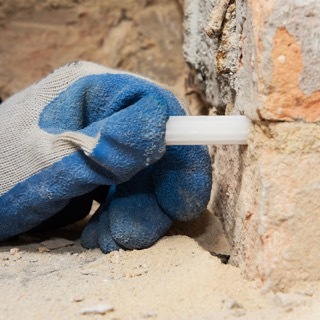 Available in boxes of 50 plugs – Coverage rate of 4 to 6 plugs per plasterboard. 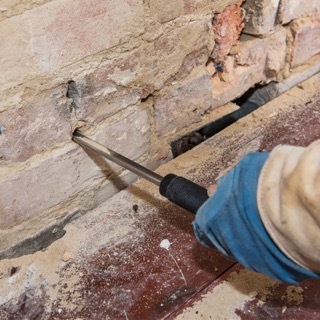 The 5.5 mm Dryzone System Drill Bit can be used to drill the holes for these plugs. 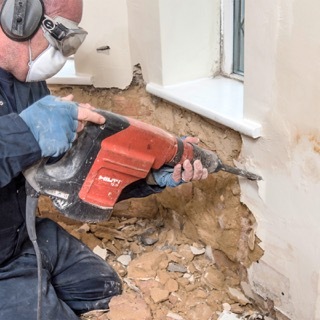 To prepare for the installation of a damp-proof course (DPC), drill holes to the appropriate depth (refer to Table 1 above) at 120 mm intervals along the lowest accessible mortar course. 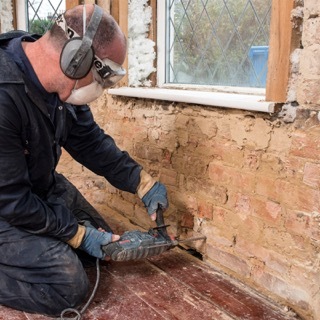 Before applying Dryshield, remove any electrical sockets or light fittings on the wall so that the masonry behind them can be treated. 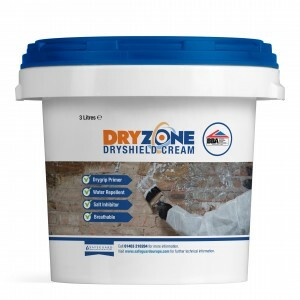 Apply Dryshield to the wall in a single coat using a large soft brush or roller. 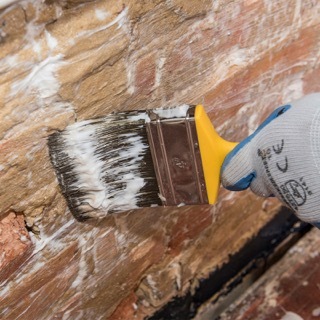 Make sure any holes and cracks are filled with cream and that all areas are coated evenly. 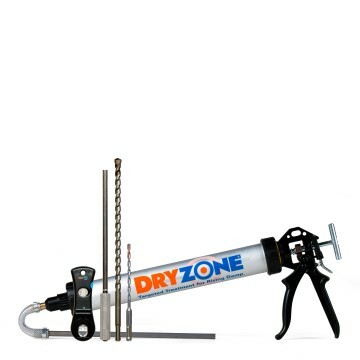 Prepare the Drygrip Adhesive by inserting a cartridge into the applicator gun and cutting it open. Screw the nozzle cap onto the applicator gun and trim the tip of the nozzle to give it a 10 mm diameter size hole. 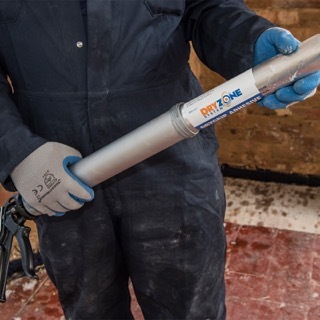 Tip: If you leave an opened cartridge in the applicator gun, ensure that the nozzle is covered to prevent the material from drying. 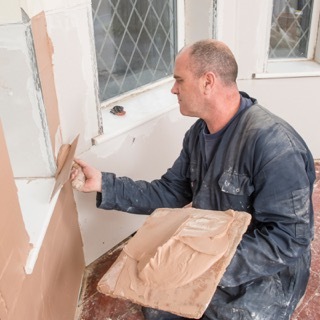 Apply small dabs of Drygrip Adhesive to the reverse side of the plasterboard at regular intervals. 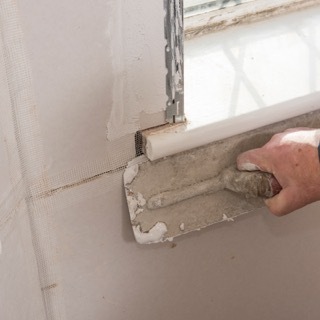 Typical consumption should be 1 - 2 tubes per sheet of standard size plasterboard. 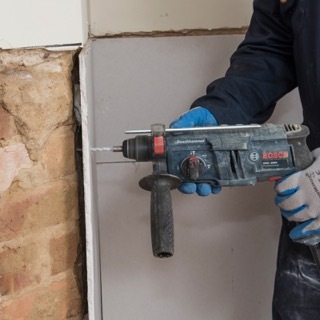 The thickness of Drygrip Adhesive will allow for some adjustment, permitting the plasterboard to accommodate and cover uneven areas of the wall. When application is finished, remove the nozzle cap and clean the applicator gun. Offer the board up to the wall and fit into place. 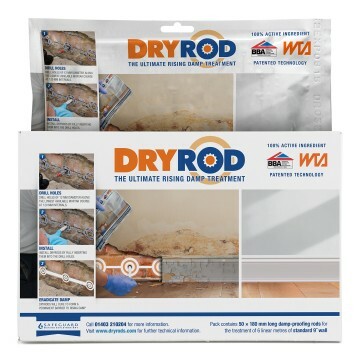 Ensure sufficient contact with Drygrip adhesive whilst allowing an air gap (preferably 10 - 12 mm to remain so that the plasterboard is not in contact with the wall. 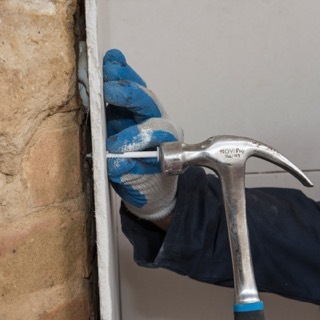 Adjust sections of plasterboard to fit over uneven areas as necessary. 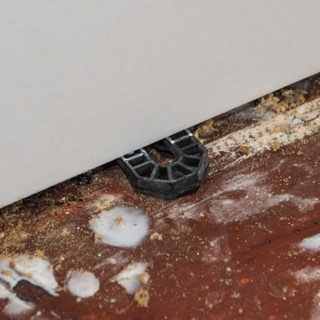 It is recommended to prop-up the board using 12 mm plastic wedges or 12 mm thick offcuts for a precise fit. 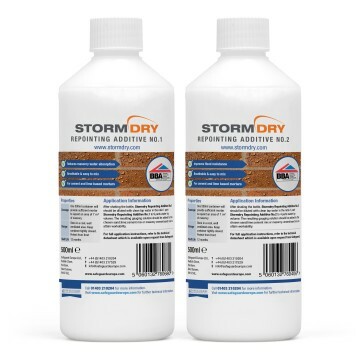 At normal temperatures, Drygrip Adhesive should set adequately after 1½ hours. At colder temperatures (i.e. 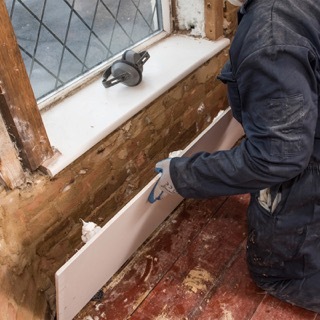 sub 10°C), leave for 2 - 3 hours and check adhesion by gently pressing the plasterboard before further work. 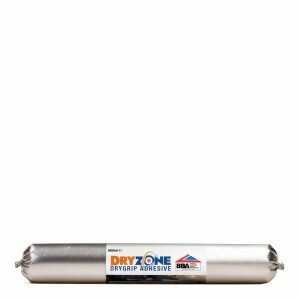 Use the provided Dryzone Express Replastering System drill bit to drill holes at the corners of the plasterboard no closer than 25&nbps;mm to the edges. 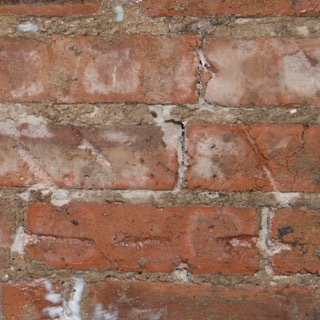 Used by the plasterer for the first time. He gave rave reviews. 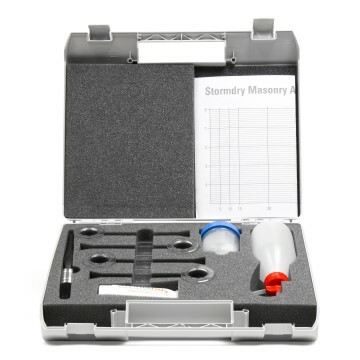 Easy to use product and has allowed a speedy resolution of the job.